US has its own interest in India’s potential of being one of the biggest importers of agriculture commodities. During the visit of US department of agriculture’s undersecretary to India, he gave a detailed perspective on India’s agriculture market overview. BW Businessworld presents the report on how US looks at India when it comes to agriculture market. Since joining the World Trade Organization (WTO) in 1995, India’s agricultural imports from the world increased nearly twelvefold, from just over USD two billion in 1995 to more than USD 24 billion in 2016. In 2016, India ranked as the seventh largest global agricultural importer. India’s annual agricultural imports from the world grew seven per cent between 2015 and 2016, from USD 22.6 billion to USD 24.2 billion. Indonesia and Argentina are the top two agricultural suppliers to India with market shares of 18 per cent and 10 per cent respectively in 2016. As per IHS Market data, Malaysia has a nine per cent market share, followed by Ukraine at seven per cent, Brazil and Australia at six per cent, and the United States at five per cent. Currently, India’s agricultural imports consist primarily of staple foods such as pulses and vegetable oils. Vegetable oils, pulses and tree nuts account for almost 70 per cent of India’s total agricultural imports by value. Geographic proximity, local preferences and strong competition from low-cost international suppliers keep U.S. market share down. Although palm oil continues to account for the largest share of India’s edible oil imports, the country is also the world’s largest soybean oil importer, surpassing China in 2013. When it comes to biotech varieties, India allows soybean oil and canola oil derived from genetically modified beans, however, no other biotech food products, bulk grains or processed or semi-processed foods are currently authorized for importation to the country. India is also a major exporter of agricultural commodities and is the world’s largest producer of cotton, pulses, millet and cottonseed. 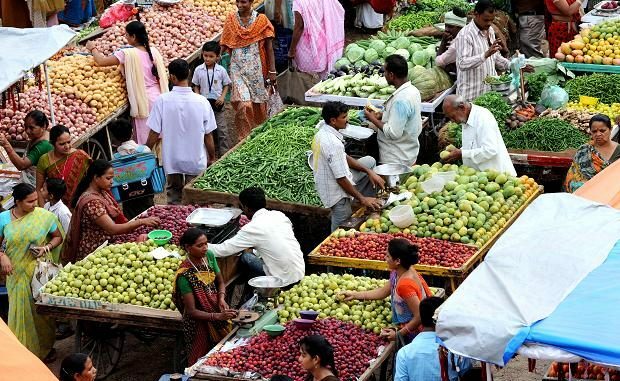 According to UN COMTRADE data, in 2016 India’s global value of agricultural exports totalled USD 27 billion, with the United States ranking as the second largest destination behind Vietnam. Major U.S. agricultural imports from India in 2016 were spices (USD 279 million), guar gum (USD 179 million), rice (USD 158 million), tree nuts (USD 157 million) and essential oils (USD 151 million). Among agricultural-related products such as fish products, forest products, ethanol, and distilled spirits, U.S. imports of forest products from India grew 18 per cent from USD 67 million in 2015 to USD 78.7 million in 2016 and U.S. imports of seafood products from India (comprised mostly of shrimp) grew 17 per cent from USD 1.4 billion in 2015 to nearly USD 1.6 billion in 2016. U.S. agricultural exports to India grew seven per cent last year, from USD 1.2 billion in 2015 to nearly USD 1.3 billion in 2016. Top U.S. agricultural exports include tree nuts, cotton, pulses and fresh fruit. Together, these commodities accounted for 78 per cent of total U.S. agricultural exports to India last year. Since 2012, U.S. agricultural exports to India with the largest growth include fresh fruit, chocolate and chocolate products and fresh vegetables. In addition to agricultural products, the value of U.S. agricultural-related exports to India (such as ethanol, distilled spirits, forest and seafood products) has quadrupled since 2012, reaching a record USD 233 million in 2016. The United States is the largest supplier of ethanol to India, exporting USD 175.8 million in 2016. Based on India’s import data obtained from IHS Market, the United States has a nearly 76-per cent market share of India’s ethanol imports. India’s demand for fish products from the United States is also growing. U.S. exports of fish products to India increased 98 per cent, from USD 12 million in 2015 to nearly USD 24 million in 2016. U.S. exports of distilled spirits, mainly whiskey, grew nine per cent from USD 4.8 million in 2015 to USD 5.2 million in 2016.